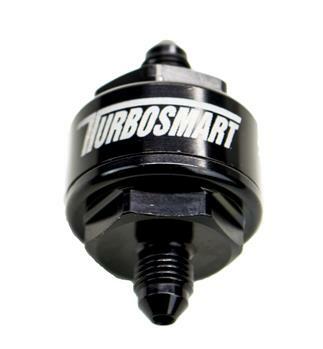 Turbosmart’s turbo oil feed filters make sure your turbo is always fed with clean oil. Due to their small oil galleries, it’s highly important for the turbocharger to be spared of any debris that may become dislodged from the engine, and a 44-micron stainless steel filter element ensures even the smallest particles are kept away from the turbo. The oil feed filters are available with both -3AN and -4AN fitting sizes.